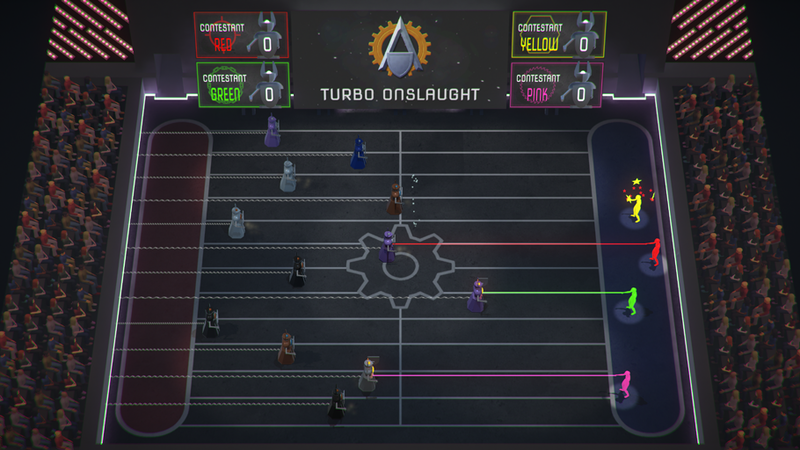 Stealth robot racing for 1 to 4 players. 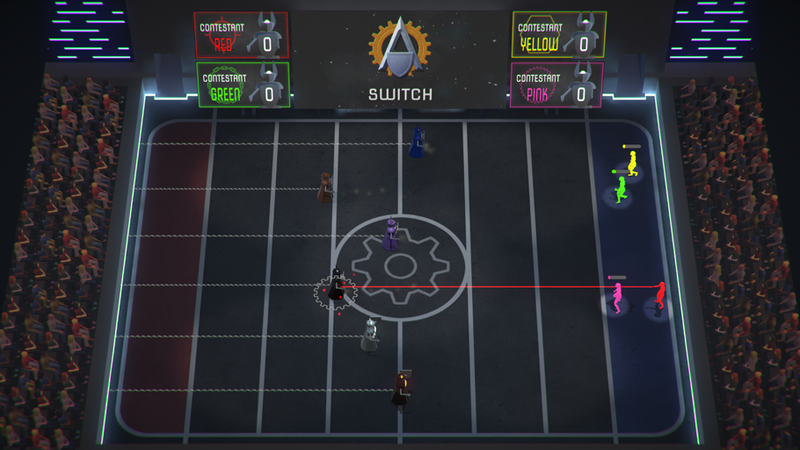 Advance is a suspense-laden, local multiplayer stealth racing game for 1 to 4 players where to win you must race your secretly assigned robot to the finish first while simultaneously controlling an armed contestant charged with guarding the goal from the others! Control a racing robot that can stop to protect itself with a shield versus the gun toting contestants which you must use to prevent the others from reaching the end first. Do you blend in with the robot horde and sneak to the end when the others are distracted or do you charge ahead and trust in knowing when to stop to deflect your opponent's bullets? 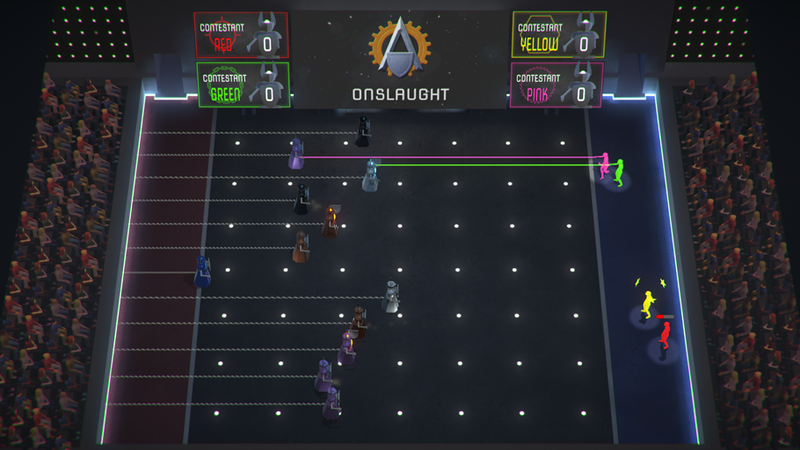 Can you trust your opponent or are they aiming at their own robot? 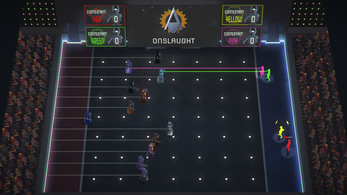 Onslaught: No extra rules, just lots of robots! 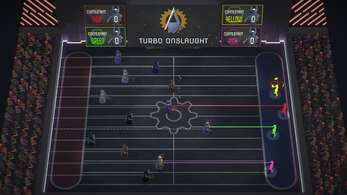 Turbo Onslaught: Movement speed doubled and reload times halved. 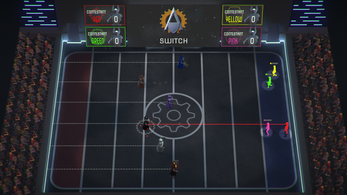 Switch: When your robot gets shot it switches places with an AI robot. 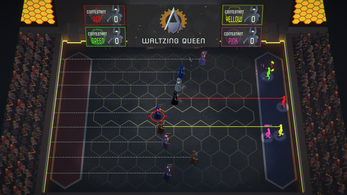 Waltzing Queen: Shoot the queen to gain her favour. 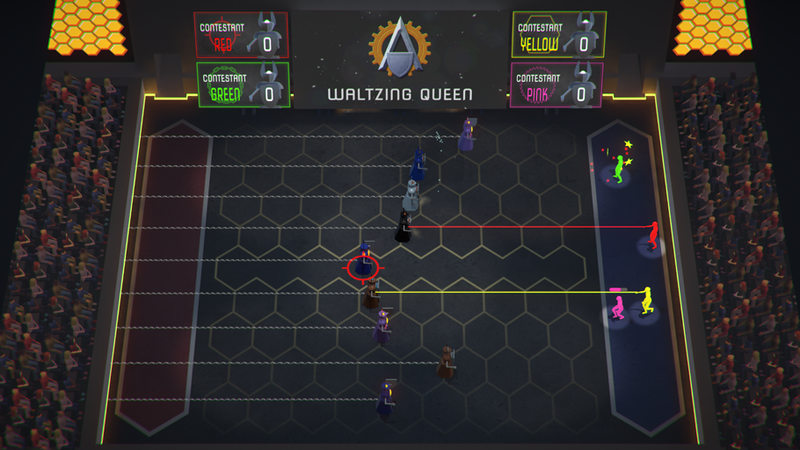 If an AI or the Queen reaches the finish line, whoever has the queen's favour wins. 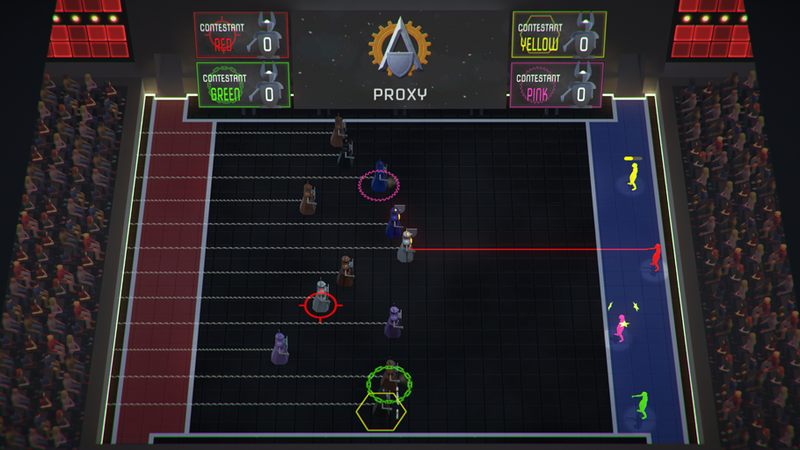 Proxy: Shooting a robot makes it your proxy. While you don't control your proxy, it counts as one of your robots for victory conditions. Friends can't make it? 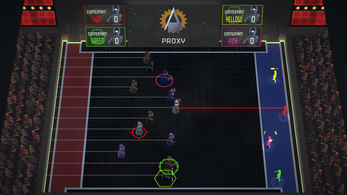 Not to worry, Advance provide challenging AI opponents of several difficulties to keep you more than busy. Each player gets to pick their own controls and input device when they join the game, so whether you prefer keyboard or gamepad and no matter what your button layout preference is, you can specify it all right off the bat without having to dig through menus. This is a fully playable build that people have already been enjoying at various live events but still needs some finishing touches. Buying this entitles you to this and all future versions, as well as a steam key when it gets through greenlight if you bought it from Itch.io (bundles will have the steam key in your bundle purchase instead.) If you have any suggestions or come across any issues, please get in touch or you can use the comments section at the bottom.